A new season is upon us and with it an opportunity to spruce up your home. Wondering how to take the chill off this winter? 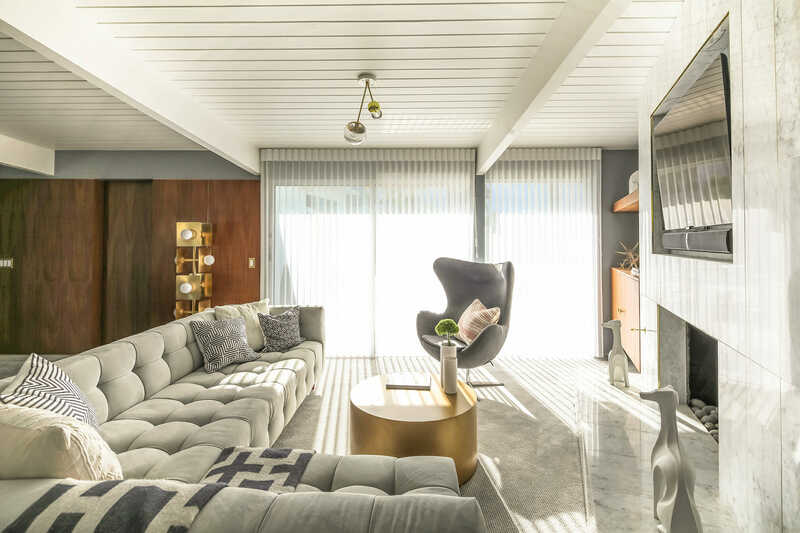 We asked for some expert advice from our team of professional Decorilla interior designers and here’s the roundup of the 9 hottest interior design trends for this winter season! 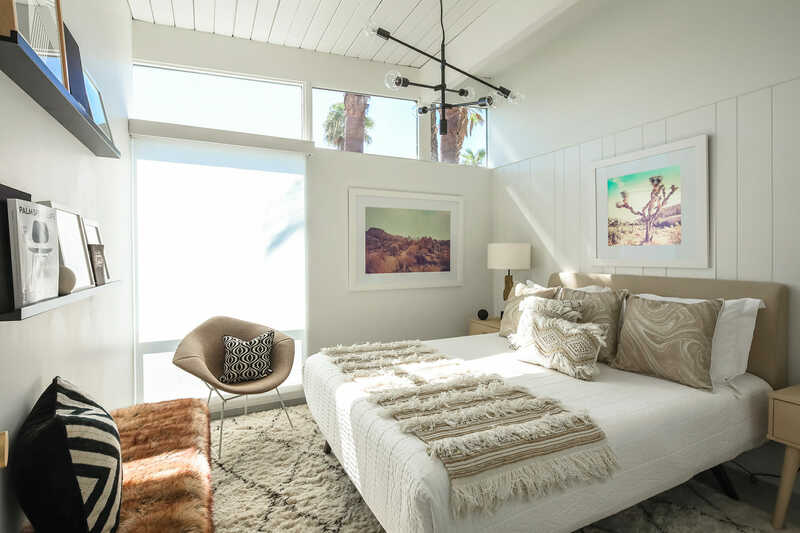 Cozy Bedroom by Decorilla Interior Designer, Michelle B. 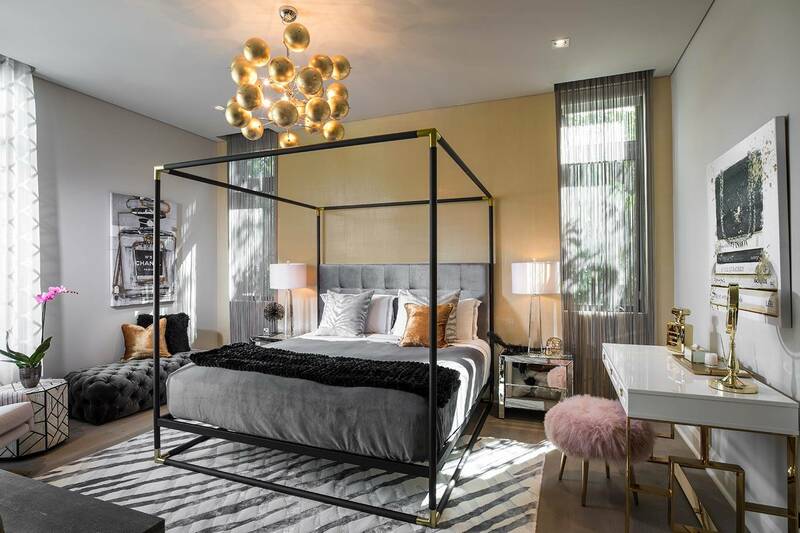 Warm bedroom by Decorilla interior designer, Renata P.
Rustic/chic living and dining room by Decorilla interior designer, Tera S.
In cold weather, a space with wood finishes or accents gives it a warming effect while acting as a natural insulator. 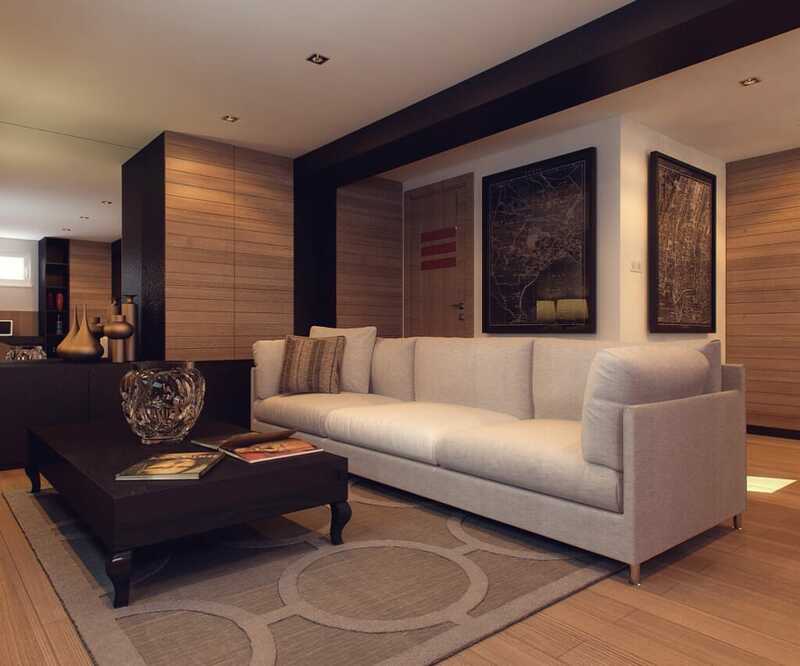 Flooring and wood panels make more of an impact. However, there are simpler solutions too! Swap out a painting for a reclaimed wood art piece or introduce a rustic wood side table like a natural tree stump to place warm beverages. A simple basket with cut fire logs also gives the feeling of being in a great rustic cottage. Organic and lovely! 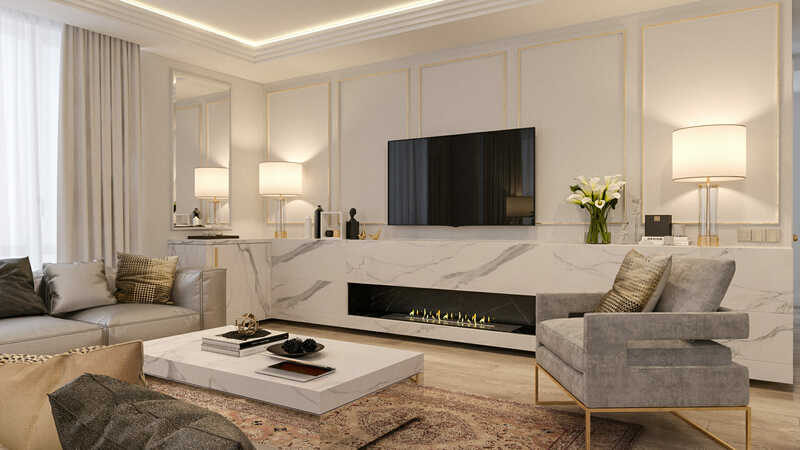 Family Room By Decorilla Designer Mladen C.
Timeless living room by Decorilla interior designer, Mladen C.
One of the home’s best places to gather in winter is around the fireplace. Beautiful focal points for kinetic lighting, these add a special ambiance to a room. 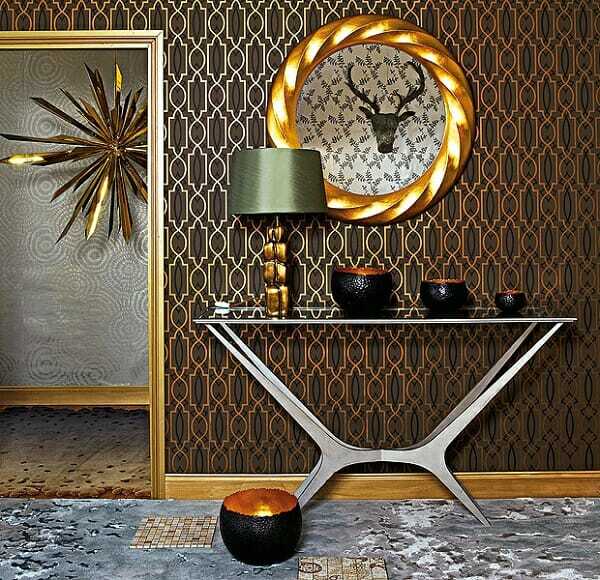 Let your fireplace make a statement with interesting screens that show off pattern and style. A hot alternative to fire logs is adorning the inside of your fireplace with a candelabra that elevates pillars at varying heights. 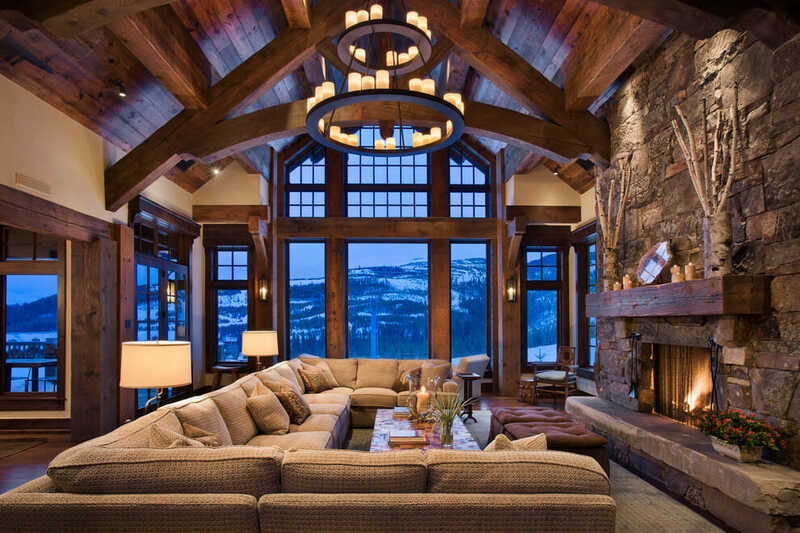 Your fireplace is not limited to indoors. 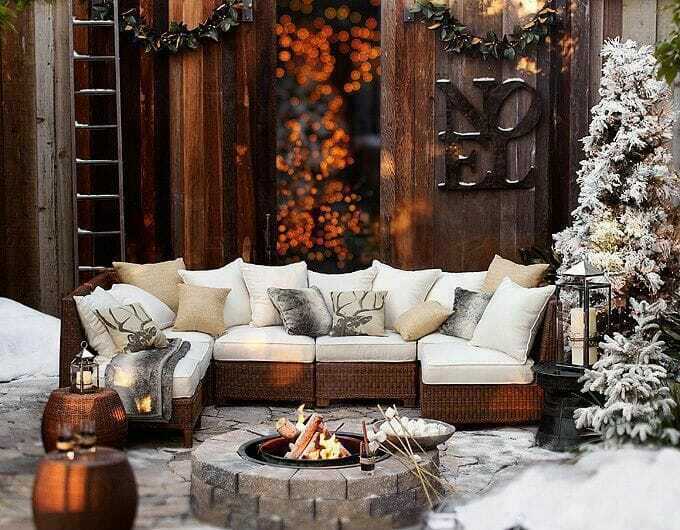 Enjoy the crisp winter air equipped with blankets and hot cocoa or mulled wine around a backyard fire pit. It’s a great way to enjoy winter nights comfortably and maybe make some S’mores while you’re at it! No need to sit in the dark! 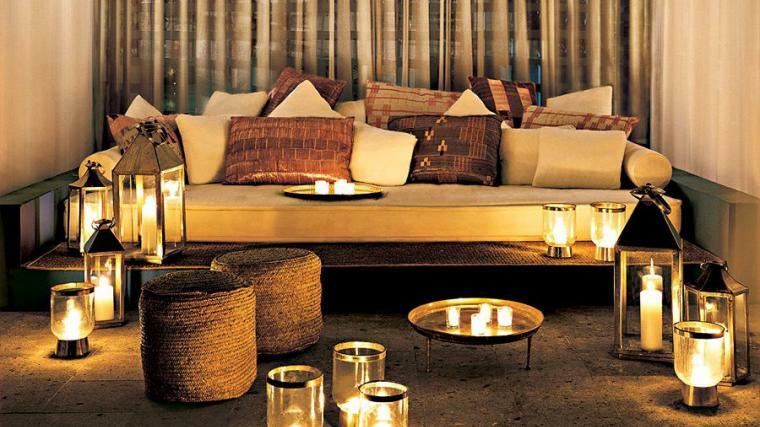 With shortened days, maximizing ways to add light in spaces is a must. Candles are a favorite due to their calming glow and festive element. Use subtle strings of light like these Aurora Copper String Lights to wrap around indoor tree plants or tuck in a vase for interesting glimmer. Candle holders and votives are always a great go-to accent, but this winter design trend looks to the candlesticks themselves. Add color and even texture with these lovely light sources. Living room by Decorilla interior designer, Joseph G.
Silvery tree branches, smoky plumes from fireplaces, and frosty window panes…it is no wonder varied shades of gray are a favorite winter interior design trend. 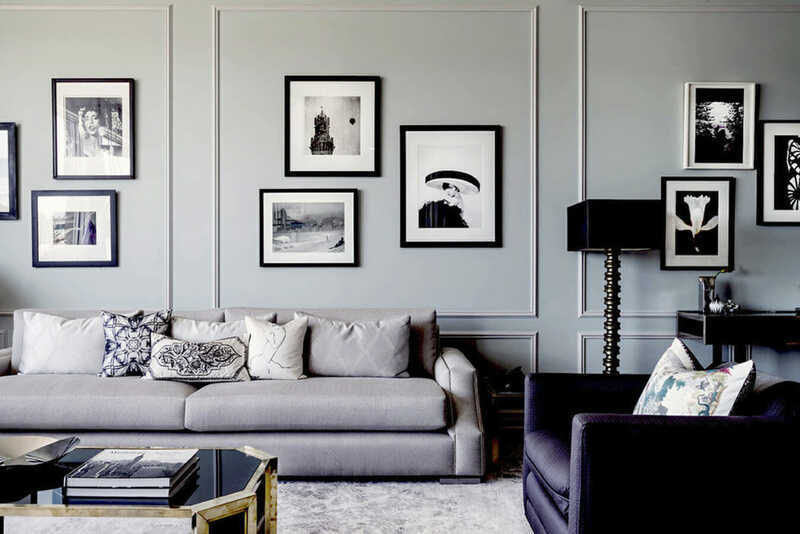 Inspired by nature’s neutral palette, hues of slate, charcoal, stone, mist and fog make their way inside in both prominent furniture pieces as well as accent decor. Living room by Decorilla interior designer, Michelle B.
Breezy bedroom by Decorilla interior designer, Corine M.
For a richer color scheme this winter, look out for deeper shades of blue like midnight blue, indigo, royal blue and ink. 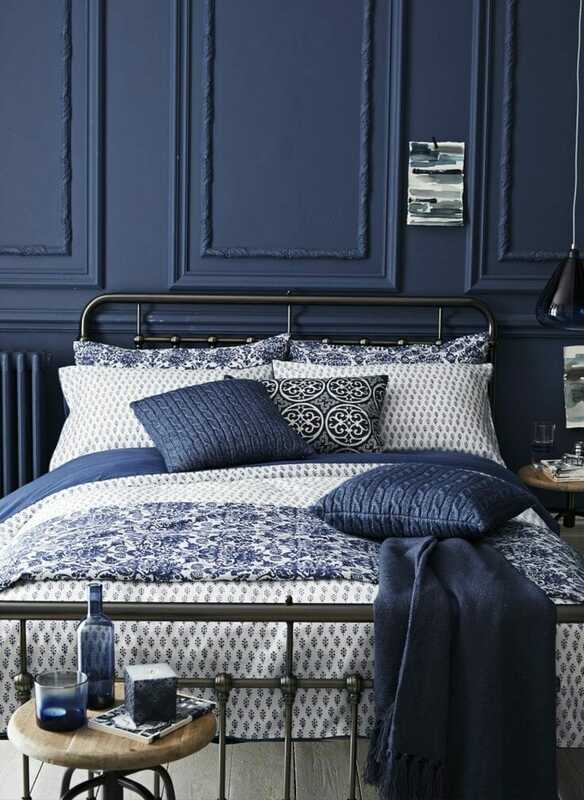 Though a cool color, dark blues emit an air of sophisticated celebration that work well when paired with wood accents. 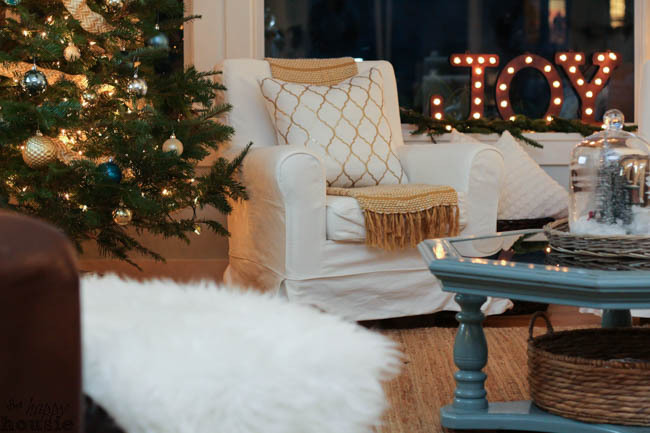 One easy way to incorporate deep blues into your home is with holiday and christmas decorations. 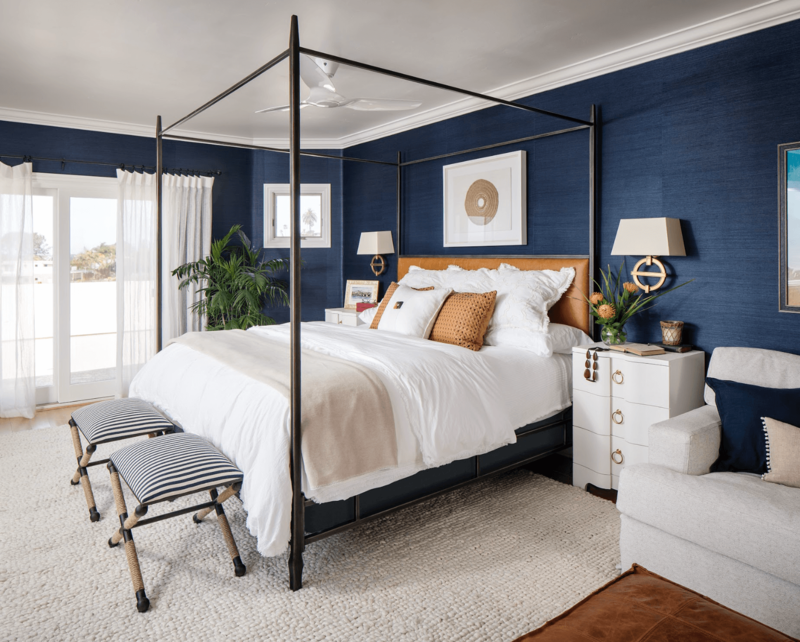 Cozy traditional bedroom by Decorilla interior designer, Kelli E.
Winter often provokes nostalgic feelings of family gatherings, anticipated festivities and home-style cooking. 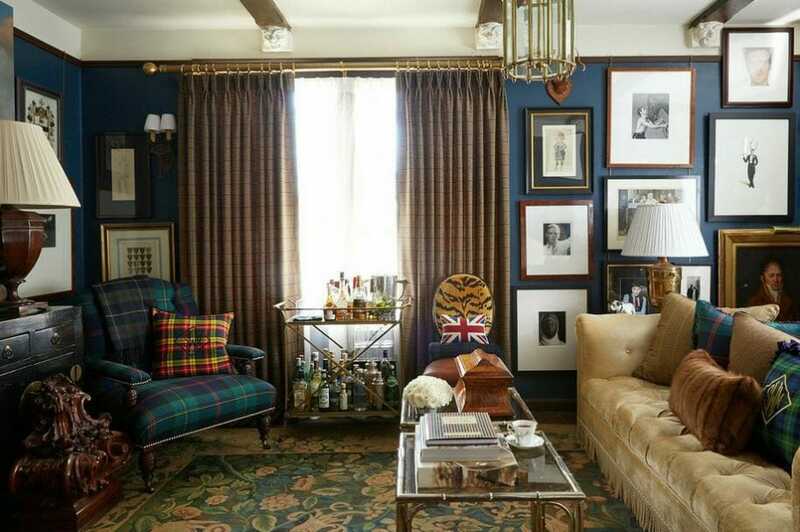 Bring back the familiar by adding traditional style elements to your home. This can be in the form of embroidered accent pillows, a cushy rocking chair, plaid or heavy curtains. With the popularity of open floor plan spaces, the use of a room divider is helpful in creating separated areas like a cozy reading nook or a more intimate dining space. 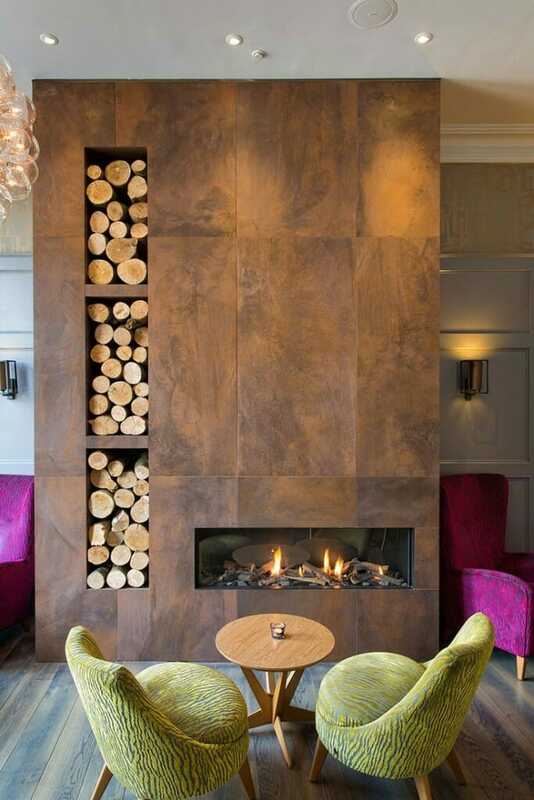 Doubling a divider into a fireplace with storage is a clever way to make the most of your large room. 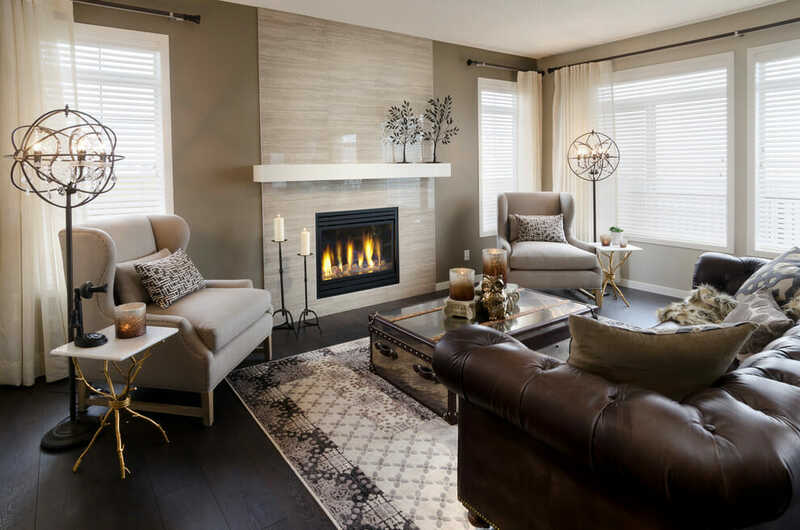 Incorporating one or more of these interior design trends for winter will help you create a seasonably stylish home that’s sure to feel warm and welcoming for family and friends. 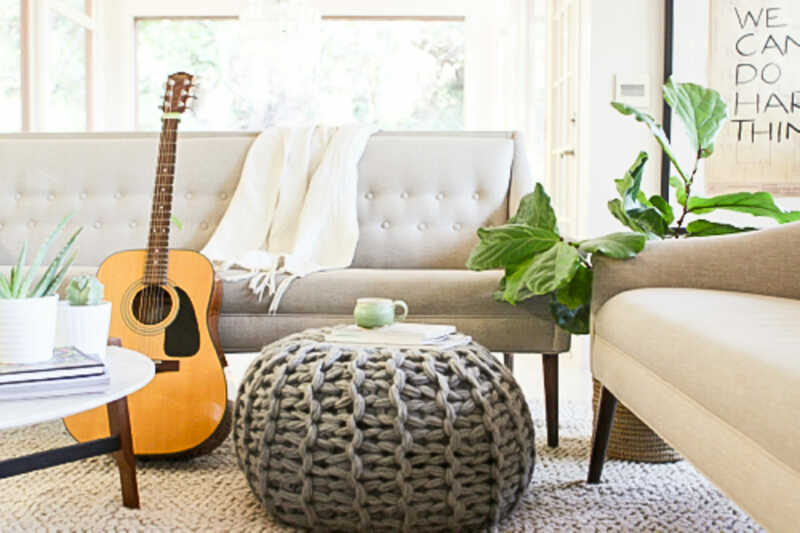 Need a little extra design help to create your personalized space? 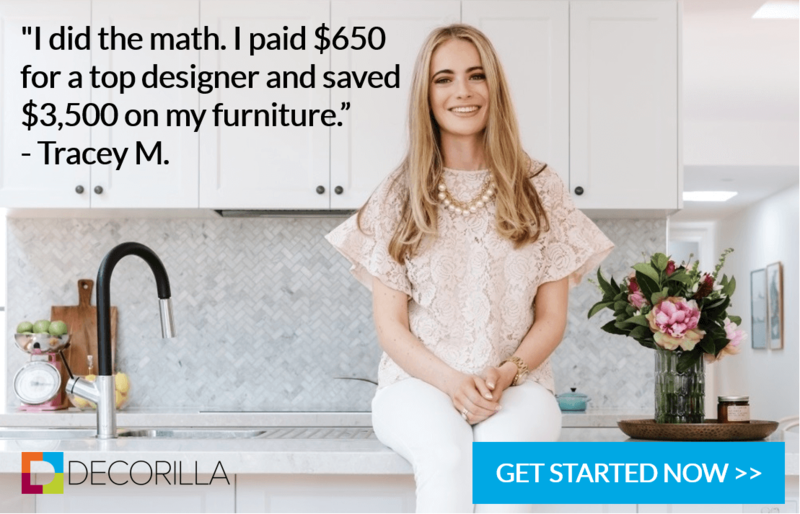 Schedule a Free Consultation today to see who Decorilla can help.